MCM Painting is a full-service painting company specializing in interior and exterior painting in both residential and commercial projects! With over 20 + years experience Manuel Cortez, the owner of MCM Painting, and his crew come to every job with passion and is determined to give you and your home the paint job it deserves! Prime First Painting and Coatings Specializes in Painting of new construction and existing residential and commercial properties. Our attention to detail and quality of finishes, sets us apart from the competition. We also provide the same level of detail to our epoxy floor coatings, cabinet refinishing, stain work and lacquer finishes, providing our customers with a full service coatings company. Will help with choosing paint colors to enhance your fabrics, artwork, woodwork. Will help with the placement of accents colors to feature special items. Will help select the correct sheen of paint to fit your lifestyle.Also can offer design assistance choosing new flooring, tile, furniture, accessories etc. At Freshcoat Painting of Glendale, AZ we provide professional residential and commercial painting for both interior and exterior projects. We pride ourselves on best in class service with competitive pricing. We believe in the power of 3-3-3. We will contact you within 3 minutes of receiving a call, provide you a written quote within 3 days and start working within 3 weeks. All of our employees work directly for us and consistently deliver our company expectations to every customer. We are licensed, insured and bonded. Contact us for a quote, we look forward to earning your business. Paint Colors by Sue is a full-service, in-home color consulting company designed to assist homeowners, painting contractors and their clients. 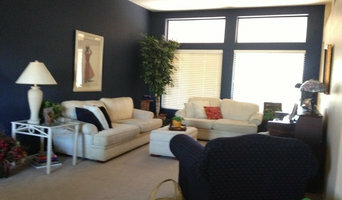 East Valley's premier residential interior and exterior painting professionals. We use the highest tier of paint available for superior performance and color retention. Additional resin and UV blockers in exterior paint add years to your investment. No VOC interior paint means virtually no paint fumes and more safety for your family and pets, while higher resin content interior paint adds durability and clean-ability. We provide free at home consultations for your project. We strive to deliver the best quality paint and painting services to make sure you are 100% satisfied. 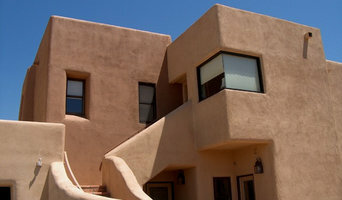 Desert Foothills Painting, Inc. has been serving the greater Phoenix area for 20+ years. We have extensive knowledge and understanding of the desert environment and what products and processes hold up to our harsh climate. We strive to ensure complete customer satisfaction with outstanding customer service. Our painting contractors are courteous and reliable, and the customer service is always impeccable. We know and understand the painting industry and the importance of making sure that every paint job is as perfect as possible. Since 1999 we've been creating decorative finishes, murals and art that is unique and one of a kind for homeowners and businesses alike. We do everything from faux finishing to custom art installations, murals and paintings. To ensure that our work is truly unique, we enjoy experimenting with different mediums, techniques and styles. We work with designers and homeowners to maximize the design potential of a project. 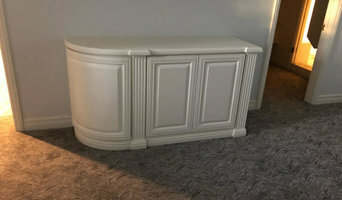 Backsplashmasters.com is a full service decorative painting company. We work with designers and homeowners to maximize the design potential of a project. We give careful consideration to the personal styles of each designer, and the preferences of our clients. We offer custom faux finishes, murals, trompe l'oeil, free hand painting, textured finishes, stenciling, color coordination, and many more custom finishes to accommodate a variety of tastes, and we can customize any finish to coordinate with the décor. Whether contemporary, modern or traditional, sophisticated or rustic, backsplashmasters can develop a one of a kind custom decorative finish that enhances the space and creates timeless beauty in any interior. Your professional, affordable, full service painting contractor, serving the residential painting needs of the entire Cave Creek area. Interior and exterior, carpentry repairs, power washing, color consulting, and deck staining/refinishing – we do it all with a focus on customer service not commonly found in the trades. Muzeo is a creative decor studio based in North Scottsdale, Arizona. We design and produce custom wall coverings, window shades, and art for residential and business of all types. Browse our exclusive library of designs from our web site or work with us to develop your own unique wallpaper or window shades. We ship to anywhere in the United States. Reeves PaperHanging, Inc is Arizona's oldest and most widely respected dedicated wallcovering installation company. Founded in 1943, Reeves PaperHanging, Inc is a 3rd generation family business serving Arizona's design community and discriminating homeowners with the highest quality craftsmanship and attention to detail. For 47 years and counting, Reeves PaperHanging, Inc is the overwhelming professional designer and discerning homeowner choice for wallcovering installation. For Residential Services including, repaints, custom homes, fencing, and garage epoxy. Paint and wall covering contractors are experts in the specs, application and removal of paint, wallpaper and other wall coverings. They can help you choose the paint color and finish, wallpaper style or specialty covering that best suits the needs of your Fountain Hills, AZ home, whether the job is for the interior or exterior. In addition, they can strip off old paint or paper and prepare surfaces through sanding, skim coating and other processes. Many can handle decorative paint treatments and materials such as plaster. A paint and wall covering contractor might work closely with Fountain Hills, AZ interior designers, builders and others, too. Here are some related professionals and vendors to complement the work of paint & wall covering dealers: Interior Designers & Decorators, Artists & Artisans, Window Treatments, Carpet Dealers. Find a paint and wall covering contractor on Houzz. 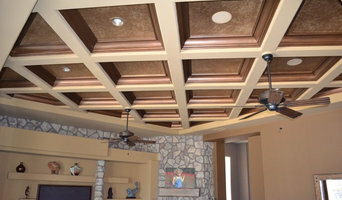 Narrow your search in the Professionals section of the website to Fountain Hills, AZ paint and wall coverings. You can also look through Fountain Hills, AZ photos to find examples of paint jobs and wall coverings that you like, then contact the professional who worked on them.